Now it's even easier for your customer to place their orders. You asked and we listened. The checkout page has just received a major update. We looked at several popular e-commerce sites, did lots of research, and re-designed the checkout page to adhere to all the best practices to maximize checkout conversions. By removing all unnecessary elements from the checkout page, your customers will have fewer excuses to get distracted from the main goal of placing their order. A customer's information can be saved during checkout, so any future purchases will only require one click to confirm. The design of the checkout pages has been re-worked to be easier to understand with a clearer call to action. The input validation has been improved to more clearly show where customers made a mistake, adding a credit card takes fewer steps, and the "place your order" button will always be visible even when scrolling down the page. 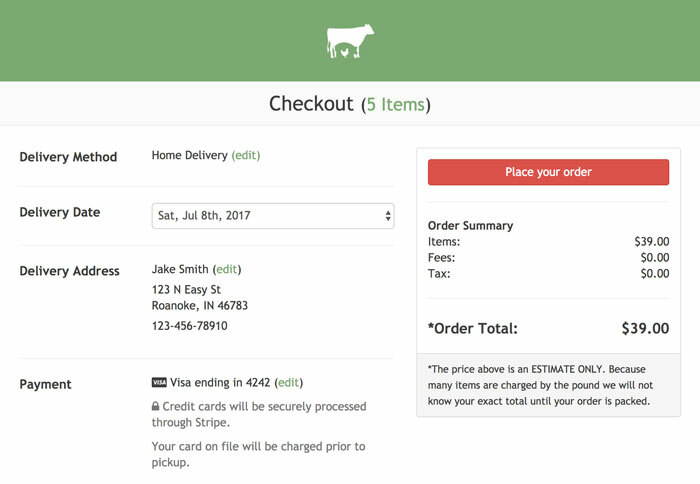 The new checkout flow is built around core principles that have been proven to increase conversions. We read lots of articles and looked at other leading e-commerce sites for inspiration. We feel confident these enhancements will lead to better checkout conversions. Go give it try and check it out for yourself.